Are You Ready For 1 Last Boyzone Show? Boyzone is doing a farewell tour around the world?! Say it isn’t so! 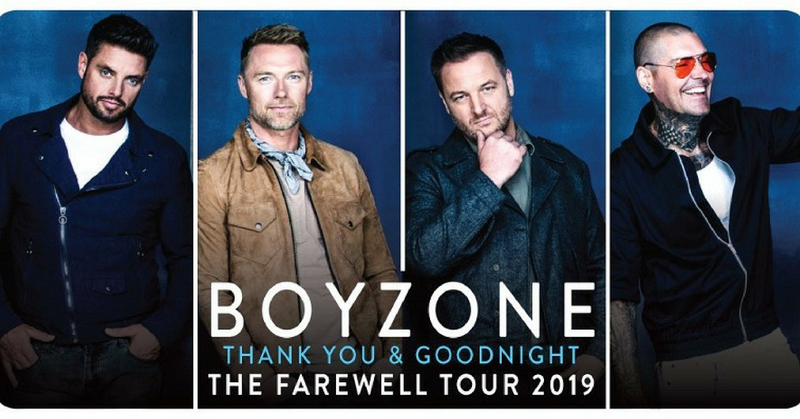 The Irish boy band from 90’s is stopping by KL for the first and most likely, the final time in Malaysia next month to bid goodbye to their Malaysian fans. Boyzone is known for many pop hits from the 90’s, such as ‘Words’, ‘No Matter What’, ‘Baby Can I Hold You Tonight’, and ‘Love Me For a Reason’. The band has been making music since 1993. After a hiatus from 2000 to 2010, they got back together and have been together since. During that time, one of their members, Stephen Gately died of a congenital heart defect in 2009. The band will perform a special tribute song for him named ‘I Can Dream’. This farewell tour is taking place in the 25th year of their formation, during which they released six studio albums. Four of those reached the top of the charts. The event is set to take place at the Axiata Arena in Bukit Jalil on the 24th of August at 8.30PM. Ticket prices start at RM198 and can go up to as high as RM688. Organized by Star Planet, the Boyzone 25th Anniversary Farewell Tour is a must-attend if you’re a diehard fan of their songs. See you there!